French architect and urban planner Renée Gailhoustet is to be awarded the Großer Kunstpreis Berlin (Berlin Grand Art Prize) 2019 in March 18th at the age of 89. In honor of this we take a look at her life and work. Despite her famed and respected status as an architect, Gailhoustet actually started life studying Philosophy and switched to architecture graduating in 1961, from the École des beaux-arts in Paris. Probably why her designs were so revolutionary and forward thinking. She also taught at the École Spéciale d’Architecture from 1973 to 1975. Each inhabitant can use the town as he wishes. Gailhoustet founded her own agency in 1964 and in 1969 became the chief architect for what was to be her most famous work: Ivry-sur-Seine, Paris. Back in the 70s, her designs were really groundbreaking. 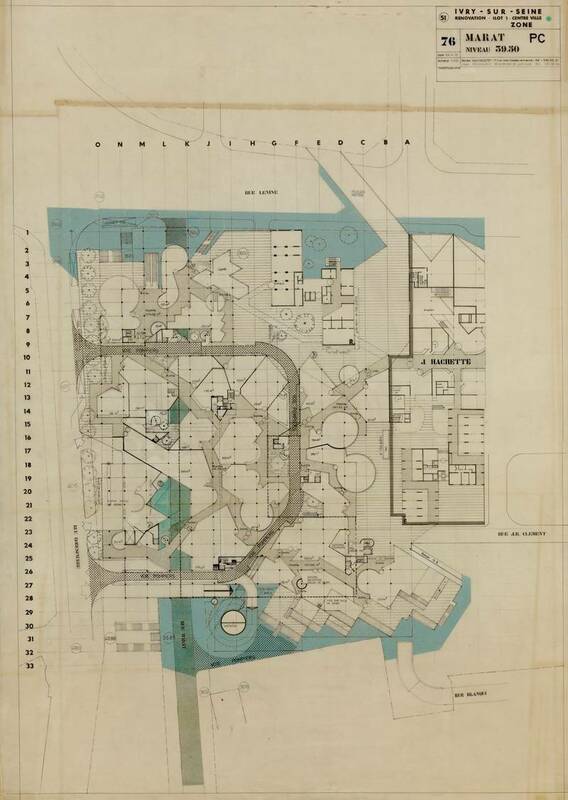 She proposed a forward-looking alternative to mass housing construction with her designs. Currently the housing crisis in large cities and homelessness is a well-documented problem. Architects are striving to find solutions to social housing for ordinary working people. Gailhoustet’s designs sought to solve these problems long before most modern architects were playing with their crayons. Another thing that makes her so remarkable is her prevalence as a female architect in an era where it was difficult for women to gain recognition in the industry. The Ivry-sur-Seine complex plays on contrast; construction vs biology, urbanism vs nature, pollution vs carbon neutralization. The angular, geometric buildings sit in juxtaposition to the green and organically shaped vegetation. The ground of the terraces and rooftops are made from cultivable earth, which allows plants to spring out in opposition to the white, hard, lines and edges of the concrete structure. These days you can barely walk around the streets of Paris for 5 minutes without coming across a living wall, or flick through an architectural magazine without reading about carbon neutral materials but back then, the idea of incorporating vegetation and sustainability in architectural designs was really radical. 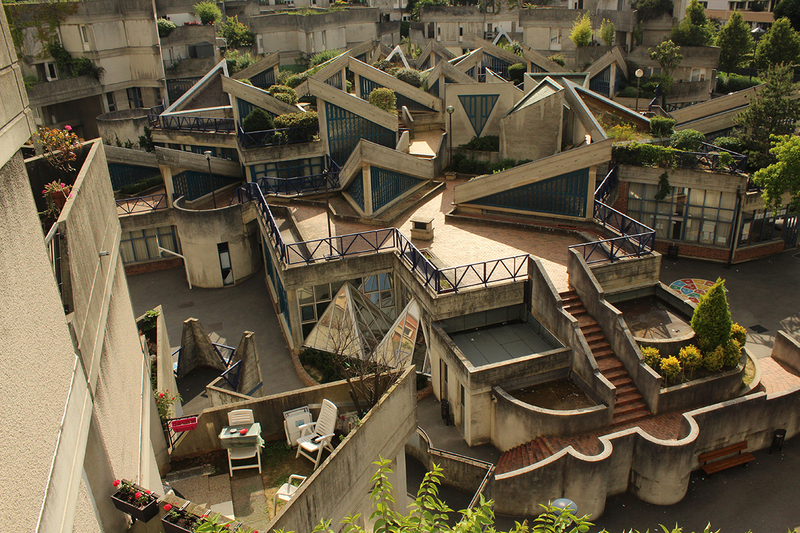 Ivry-sur-Seine, as with all ambitious and forward-thinking designs, is not without its critics. Some people have named the complex “ugly”, but the apartments remain a highly sought after commodity. I can’t help but feel that her designs had an influencing factor on the Barbican Centre, London, built a decade later in 1982. Which although it was voted “London’s ugliest building” in a Grey London poll in September 2003, is largely appreciated as one of London’s most iconic buildings. Ivry-sur-Seine however, has a more daring and a certain, French chic that just can’t be replicated on the cold, grey streets of London. Even more mind-blowing is the intricacy of the design itself. With modern BIM technologies it’s easy to visualize complex geometric shapes and even design in 3D from the beginning, but back then, all they had was good old pencil and paper, with crude, handmade, prototype models. The complex design doesn’t just focus on the space it takes up, but the negative spaces it creates as well. Public stairways lattice through the building both inside and outside. The octagonal, square makes use of the negative space formed by the unusually angled buildings and seeks to generate community spirit in an urban environment. 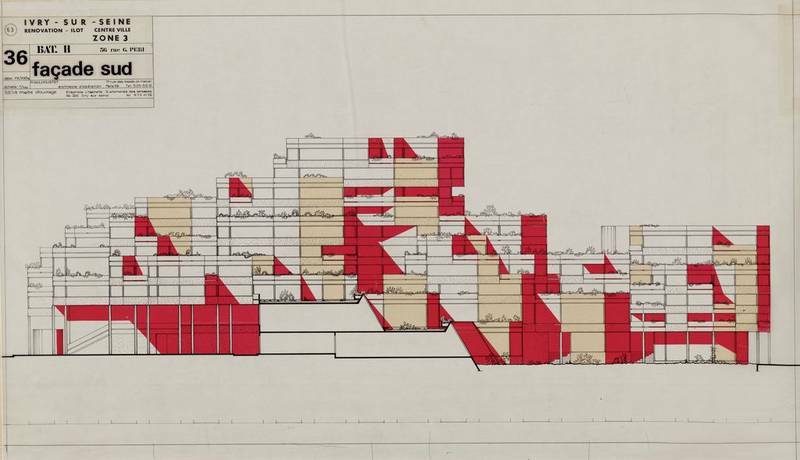 Her designs weren’t limited to the Ivry-sur-Seine however. Between the late 1960s and the mid-1980s, Gailhoustet designed the Raspail, Lénine, Jeanne-Hachette and Casanova towers, the Spinoza complex and the terraced apartment buildings, Le Liégat and Marat. Are you the next Renée Gailhoustet? Why not use BricsCAD BIM to show the world your forward-thinking design concepts. Easy to try, easy to buy, easy to own. That’s BricsCAD. 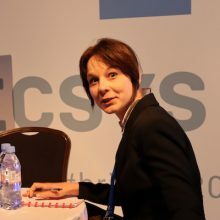 Try all of our products, for free for 30 days at www.bricsys.com. Freedom of choice, plus perpetual (permanent) product licenses that work with all languages, in all places. You’ll love what we’ve built for you with the BricsCAD V19 product family. 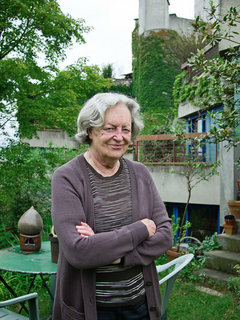 French architect and urban planner Renée Gailhoustet is to be awarded the Großer Kunstpreis Berlin (Berlin Grand Art Prize) 2019 in March 18th at the age of 89. She is best known for her forward-thinking complex, Ivry-sur-Seine, Paris. She graduated in 1961, from the École des beaux-arts in Paris. She also taught at the École Spéciale d’Architecture from 1973 to 1975. 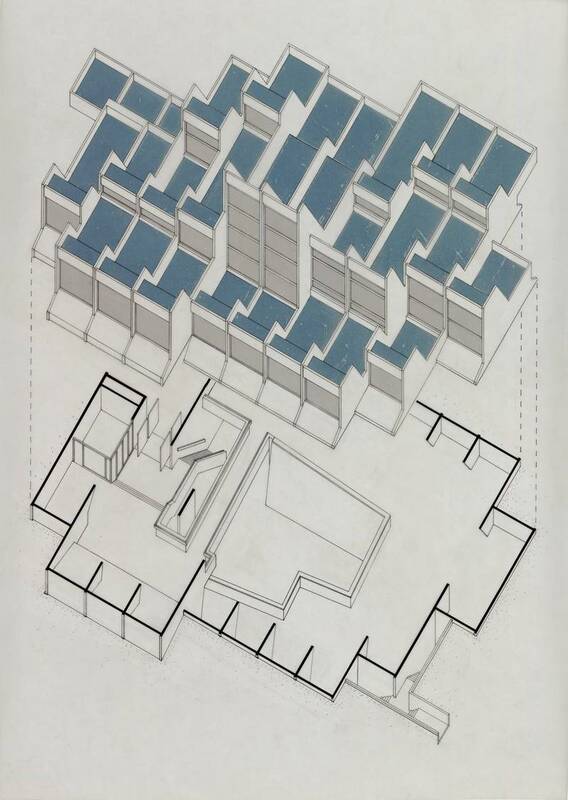 Between the late 1960s and the mid-1980s, Gailhoustet designed the Raspail, Lénine, Jeanne-Hachette and Casanova towers, the Spinoza complex and the terraced apartment buildings, Le Liégat and Marat.